Pat, Pat, Pat...PAT These are the words I am greeted with every day at the moment! I never thought I'd be trying to persuade Leo to watch The Wiggles after how many times we watched it last year but it turns out it is less annoying than Postman Pat over and over again! Leo has become Postman Pat's biggest ever fan, it's the first thing he says every morning and the last thing he says at night, last night he even said it in his sleep! On the upside it just so happens that the DVD we have is 'Postman Pat's ABC and 123' and due to the sheer number of times we have watched it Leo now knows his numbers 1 to 10, and can say nearly all of the words which represent the alphabet on it, so at least it is productive. Today, March 25th is Greek Independence Day, it is a national holiday throughout the Republic of Cyprus and marks the start of the islands fight for independence from the Ottoman Empire which started in 1821. The Greek War of Independence ended in 1832 and Greece was finally recognised as an independent nation. 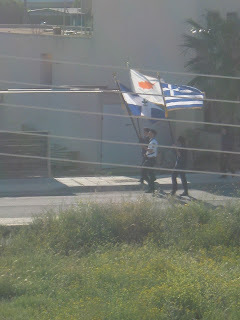 The day is marked not only by cultural displays and historic exhibitions in many of the larger Cypriot towns but by many parades in the streets. We can hear one such parade from our apartment. They practise regularly just a stone's throw from our apartment and are quite loud! The drums are very good but I think that the bugle/trumpet players could do with the practise... we've been here a year and they don't seem to have improved yet! This week I'm giving you a double whammy Flashback Friday. 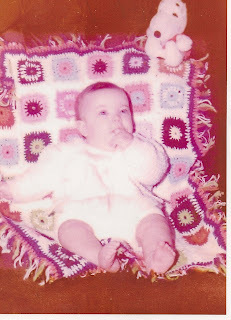 First of all it's back to 1977 for one of my baby photos. Don't forget to check out the other fabulous entries over at Cafe Bebe. This week's Gallery prompt is Education. Anything you like to do with learning and education. Your school days, your children's school days, are you learning something now? What does or did education mean to you? Teachers, students, lecturers, gurus. I had a flick through my old photos and I have quite a few, so I decided to go with the first and last. 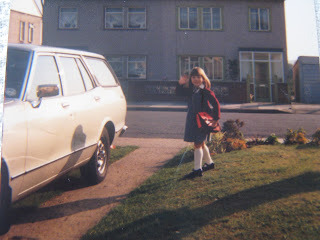 I was never a big fan of school, not the actual learning part though, mostly that was ok if a little dull in places. It was the 'social' bit I didn't enjoy, I had a group of friends but it was an all girls school and was often very bitchy. At the time I did not have to confidence to stand up for myself. Welcome to Konnos Bay, situated between Agia Napa and Protaras and said to be one of the most picturesque beaches on the island. We first discovered Konnos when on holiday in 2008 and I declared it my favourite beach of all time, quite a bold statement! 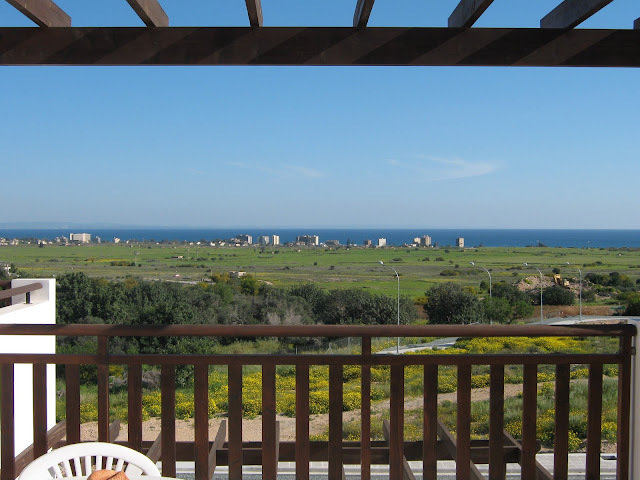 The Cyprus Tourism Organisation says this "One of the most picturesque beaches on the island, it is well sheltered from heavy winds and has practically no waves at all. It is 200 metres long by 35 metres wide and covered with fine golden sand." My reasons... It's lovely for kids, (expect the walk down to it if you are laden with bags, towels, assorted beach toys and a buggy, and especially the walk back up!) as the sea is almost free of waves and is shallow for a very long way out. There is a cafe which does lovely food, (especially the bacon and halloumi sandwich) and the best view I think I've seen. 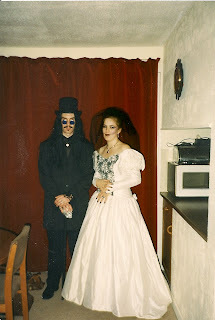 This week I'm taking you back to 1997, the year I discovered that I LOVE fancy dress! Before this I hated dressing up, I'd never know what to wear, and would worry that I would look stupid, but then I met AJ... the biggest fan of dressing up ever! In 1997 we were invited to am 18th birthday party in a local hotel, we didn't actually know the birthday girl, she was a friend of a friend but it was a big hall and we were making up the numbers! AJ was very excited but I was somewhat less than enthusiastic, we had big debates what to wear and he asked me what I would most like to wear if I could choose anything. I missed last week's Reason's to be Cheerful link up as my parents moved to Cyprus last week and we've been spending time helping them settle in and doing lots of cooking as we are waiting for their shipping to arrive. The last week we have been sharing my frying pan and baking tray! Their arrival was my reason to be cheerful last week, along with the fact I now have two extra pairs of hands should I need them, a babysitter right on my doorstep, and adult company during the day! If I've done it once I can do it again, right? 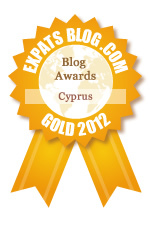 Since being in Cyprus I have lost about a stone, but still have about the same to go to get to where I would like to be. I don't know yet what my actual target weight will be but one of the good things with Slimming World is the fact you do not have to set a target until you are ready (and when you do it is entirely your choice, unless it is lower than the recommended 'healthy weight') What I am aiming for is to fit back into most of my old clothes and feel fitter again. This week's Gallery prompt is an interesting one... Trees. 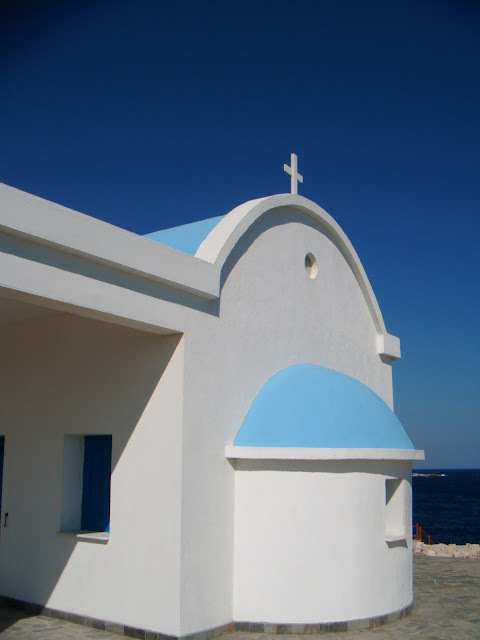 Back in December we visited Profit Elias' 'the Church on the hill' in nearby Protaras. There we found these amazing 'tree memorials'. At first glance it could appear that they are covered in litter but on closer inspection I discovered they are tributes to lost loved ones. This is what I assume anyway, as I have been unable to find any more information about them. 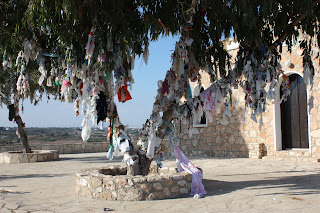 There are a wide variety of things tied to the trees, empty plastic bottles with rolled up paper in them, laminated letters and photos, and lots and lots of bits of cloth. I spent ages (well, as much time as possible whilst holding onto a toddler that doesn't find it all that interesting!) looking at them all and reading the tributes. I've never heard of this practise before, I don't know if it's unique to Cyprus or done in Greece as well - if anyone knows please let me know! We had just signed the papers to buy our new apartments, We had one of the penthouses and my parents brought an apartment on the ground floor. They were due to be completed in May 2009. 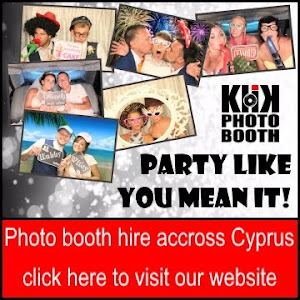 We had no real idea of what we were doing, especially AJ and myself as we hadn't spent much time in Cyprus at all but it seemed like a good idea! We had no real plan of when we would be moving, the original plan was to be about now when AJ's work contract ran out and my parents retired. However plans changed several times for various reasons, (the main one being a certain little Leo arriving in the same month that they were due for completion!) AJ's contract ended early and we decided to make the move rather than look for more work in the UK. Over the last few months I have been reading a great new section over at The Five F's blog called my Fitness Story. Back in January Kate asked for people willing to share their stories. This is what she says about it... 'I think fitness and weight loss is such a broad subject and there are so many different ways of doing it, good and bad, that just talking about what I do doesn't even scratch the surface. So, I asked on twitter if anyone would share their stories and a few people popped up expressing an interest so I've decided to give it a go. This is the Agia Napa monastery, we've been here several times now as it's turned into one of the places we always take our visitors. It's one of the few signs that Agia Napa was once a sleepy little village and when you stand in it during the day, and out of the tourist season it's hard to imagine you are in a party town. Wow - I've been cheerful for 8 weeks now, that's quite a long time! Seriously though this is what I love about this link up, even if you are not feeling that cheerful it makes you look harder for some reasons and then you realise that there is always something that is good. Yesterday my car wouldn't start and although I may have sworn at it a little bit, it crossed my mind how please I was that we were at home with it and not stuck out somewhere with toddler and no buggy - finding reasons to be cheerful must be habit forming! 1. My car needs a service, this doesn't sound like a reason to be cheerful but I was worried it might need a whole lot more. Our mechanic friend took a look at it yesterday and saw nothing majorly wrong with it, that was good to hear! This week for my Flashback Friday post I'm going back to 1986. 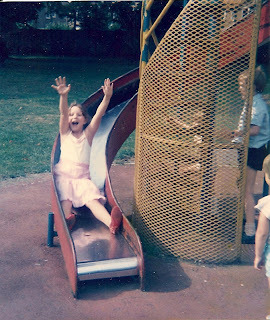 This was taken in my favourite park as a child, it was a bus ride away but Mum often took me there. It had a brilliant playground, although thinking about it it probably wasn't that good - I can't really remember anything other than this slide, but that would have been enough as I LOVED that slide! Not only that it had a rose garden with lots of different sections to explore and 2 big duck ponds with bridges and feeding the ducks was always a highlight of each trip. We usually had a picnic or as a special treat we used to get a take-away KFC (Kentucky Fried Chicken) on the way in! I'm joining in with Kate's Listography again this week, and I must admit I got a bit excited when I saw the topic - Top 5 Pet Hates but I've been racking my brains for ages and have only come up with 3, I think moving country may have mellowed me out a bit. I asked AJ and even he struggled! 1. Lateness, this is without a doubt my biggest pet hate. If you care about what you are meeting me for, why would you be late??? I don't do late (unless it it something beyond my control, and even then I may have already planned for something to go wrong and can get round it) In fact I hate being late so much that I am usually early, something which would possibly be on my friends list of pet hates! Life is full of simple pleasures, even though I have been guilty of not always appreciating them. I am getting better with age it seems, you know 'older and wiser' and all that, or maybe it's having less money so I'm looking for them more! The view from my bedroom window, taken at 7am in the morning one day last spring. We are just approaching the same time this year, there are not quite as many flowers yet.